Walter Trout is one of the most resilient bluesmen around. Not only has he survived a liver transplant, coming out on the other side of surgery feeling “like I’m in the best time of my life ever,” he’s also still making records that are creative and logistic triumphs. 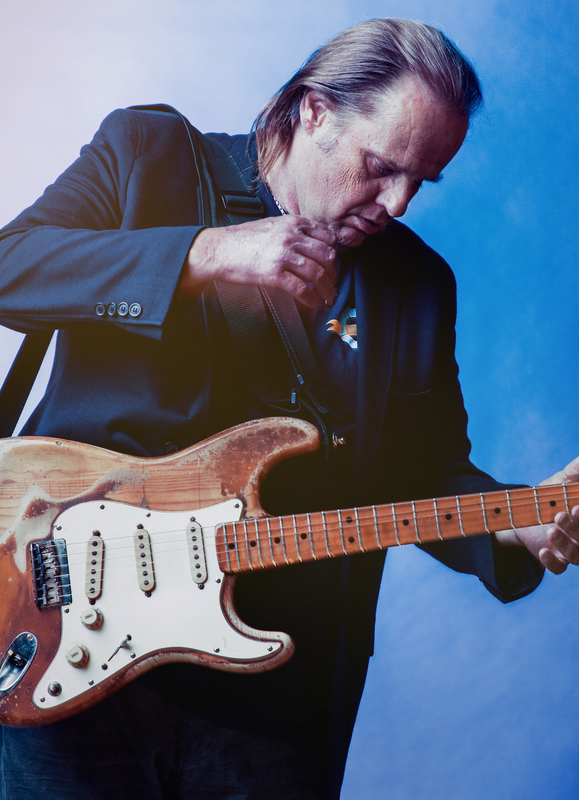 His new 14-track album We’re All in This Together, out August 25, is a massive collaboration between Trout and 14 other blues artists. 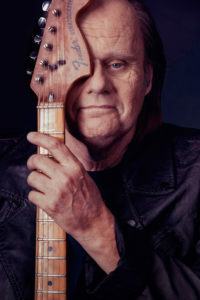 The album itself is a testament to the friendships Trout’s cultivated through decades of touring and session work–John Mayall, who helped Trout get his foot in the door by inviting Trout to join his Bluesbreakers during the 1980s, is featured on the track “Blues for Jimmy T.,” Trout’s son Jon sits in on “Do You Still See Me At All” and Joe Bonamassa met Trout in the studio to record a live version of the title track. With the exception of one cover (“The Sky is Crying,” featuring Warren Haynes), We’re All in This Together features all-original material written by Trout. But this album signifies a far greater triumph than that. Trout approached each song with that song’s specific collaborator in mind, crafting the music and lyrics in a way that would fit its featured musical master. 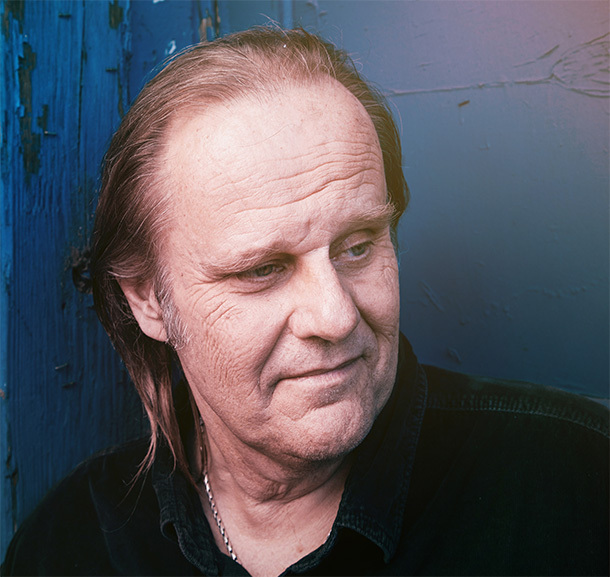 The result is special and quite spectacular–it’s hard to imagine that the album was pieced together from afar when, in reality, Trout only recorded the songs live with two artists (his son and Bonamassa). To celebrate the album’s completion, Trout is now on the road, hoping to share the stage with some of these collaborators as he travels the U.S. through the summer and begins touring the UK and Europe this fall. In a phone interview with Blues Rock Review in July, Trout explained that he realizes both how unique this kind of project is and how tricky it was to bring it to completion. Nevertheless, he’s energized by the efforts and looking forward to bringing the new music to the stage–and he’s willing to consider the possibly of creating more music in this vein in the future. You’ve been through so much since we last spoke three years ago, right after you released The Blues Came Callin’, and have made a full recovery from the liver transplant you were dealing with at that time. How are you these days? I feel great. I feel like I’m in the best time of my life ever, at age 66. After facing the abyss of death there for two years, I’ve just got tons of energy, I’m playing better than I ever have, my career’s going great, my family is doing tremendous…I’m having the time of my life right now. When did you begin working on this new album? I had everybody pretty much lined up. I started recording in January, but with a lot of these guys there were scheduling problems, because they all tour. So it took me about three months. When you started working on this album, did you know exactly where you wanted to go with it? What I knew was that I wanted it to be a joyous, fun, semi-light-hearted record after Battle Scars, which was so heavy and deep and emotional. Battle Scars is bordering on being a psychodrama. I wanted it to be joyous, like, “Let’s get together with our friends and have a good time.” I wanted it to be the whole opposite end of the spectrum from Battle Scars. What was the process like for writing each song specifically for the guest musician it featured? It was a little daunting, but it was also fun. What I would do is, I would sit down with a specific guy in mind. I’d sit down and go, “Okay, today I have to come up with something for Kenny Wayne Shepherd.” And I’d spend a couple of hours listening to a bunch of Kenny’s music, and I would try to tap into what he’s doing. I wanted these guys to be able to really get into the material that I was providing for them. I’m curious to learn about how the collaboration process was, since many of these tracks were pieced together from afar. How did that work? I think that, if you listen, it’s very difficult to tell from most of these cuts that we’re not in the same room. It’s because they’re such spectacular players. I did my parts first; I would leave space and we would tell them, “Okay, this is where you play your solo, and now we’re going to go back and forth on guitars.” I would do my four bars and I’d leave four bars of space and I’d send it to them. They were able to tap into what I was doing. Warren Haynes, where we trade off on the end, he answers me perfectly. It’s unbelievable. But there were one or two that, when I got their parts back, I redid mine and played around what they did. Though most of the collaborations were completed from afar, the tracks with Joe Bonamassa and your son Jon were recorded while you were in the same room with each of them. How did those experiences differ for you? Those we did live, and what was cool about Joe was that he said, “I really want to be on your record, but I just want to come in and play live. For that day, I just want to be a member of your band. Let’s look each other right in the face and play live.” He came in there and I showed the band the song, and we basically played it once–that’s one take. We didn’t even rehearse it. We just went. We kind of discussed how the song was going to go, but it was spontaneous. That was a blast; we were having fun. To me, that’s the thing with this album: the whole album, hopefully people are going to listen to it and come out of it with a smile on their face. With Battle Scars, a lot of people listened to it and came out with tears on their cheeks. This one, I’m hoping they’ll come out of it with a smile. What was it like to bring John Mayall into the fold for this album, after all the history you have with him? What an honor. I was with him for five years. This is the third album of mine he’s played on. I actually brought it up to him, “Hey man, I’d like to do something different.” Instead of another where John comes in and plays with the band, I’d like to do an acoustic country blues, sort of a Sonny Terry and Brownie McGhee type groove, and I have a song I wrote about my old bass player and best friend, Jimmy Trapp, who passed on in 2005. John Mayall knew Jimmy quite well. I said, “I want to do it about Jimmy,” and he’s like, “ Yeah, let’s do it.” That was awesome. Any time I get to work with Mr. Mayall, I’m still awestruck and honored to know that the guy is still like a father to me. I’m still in awe of the man. Was it tricky to skip between the different artists and their genres as you prepared to write each song? A little bit. Let’s use Sonny as an example. There’s a guy for whom I immersed myself in his music. I’ll preface this by unashamedly saying that Sonny Landreth is the greatest slide guitarist that ever walked the face of the earth. He’s in a class of his own. There’s nobody that can get near him. I don’t care who you bring up: of all the great slide guitar players, he’s in a class of his own. So I listened to a bunch of his stuff, but I’m also very familiar with his stuff, because I’m a fan. With him in mind, we recorded three different tracks with three different grooves. I had one that was sort of a second line, Neville Brothers, Little Feat, New Orleans kind of groove, and I had one that was kind of a Bo Diddley thing, and I had the one that we ended up picking for him. That was a little bit difficult. What do you give the guy? He can play anything. But he seemed to really like the tune, too. So a lot of these guys were sort of given the choice: do you want to play on this or not? If not, I’ll write something else. I’m interested to hear the story behind your song “The Other Side of the Pillow” with Charlie Musselwhite. I have a friend whose name is Richard T. Bear. Look him up. He’s an amazingly accomplished musician. He’s made many albums on his own, but he’s also an amazing studio guy. He’s toured playing keyboards with Crosby, Stills and Nash, Stevie Nicks and a bunch of other people. He called me up. He likes blues, and we’re friends. He’s come to my house and had dinner, and his wife was actually the editor on my wife’s book–so we’re close buddies. One day, he called me and he said, “Hey, I have this blues verse. ‘I’m gonna make love to another woman / ‘Cause you made love to another man / I’m gonna be colder than the other side of the pillow / Cause that’s the way I am.’” I went, “Wow, that’s really a good blues verse. That’s right in the alley of a classic blues song.” We started with that, we sent it to Charlie, and he came up with a second verse and said, “How about we do it now from the other man’s point of view, like, ‘Hey, your woman’s been with me. It’s not my fault you can’t hold on to her.’” So he came up with the second verse, and I came up with the third verse. So it’s really a collaboration between the three of us, and it was a lot of fun. We all chipped in on that one. I came up with the groove; I figured, for Charlie Musselwhite, it had to be a nasty, dirty, down-in-the-alley kind of blues groove. When Charlie comes in singing, I just crack up, man. He’s got that delivery; it’s just awesome. What do you want listeners to take away from We’re All in This Together? I hope they get it, I hope they enjoy it. I think people are going to love this thing. It’s not heavy, like Battle Scars was. It’s like, let’s get together and have a good time. That’s what this record is about.